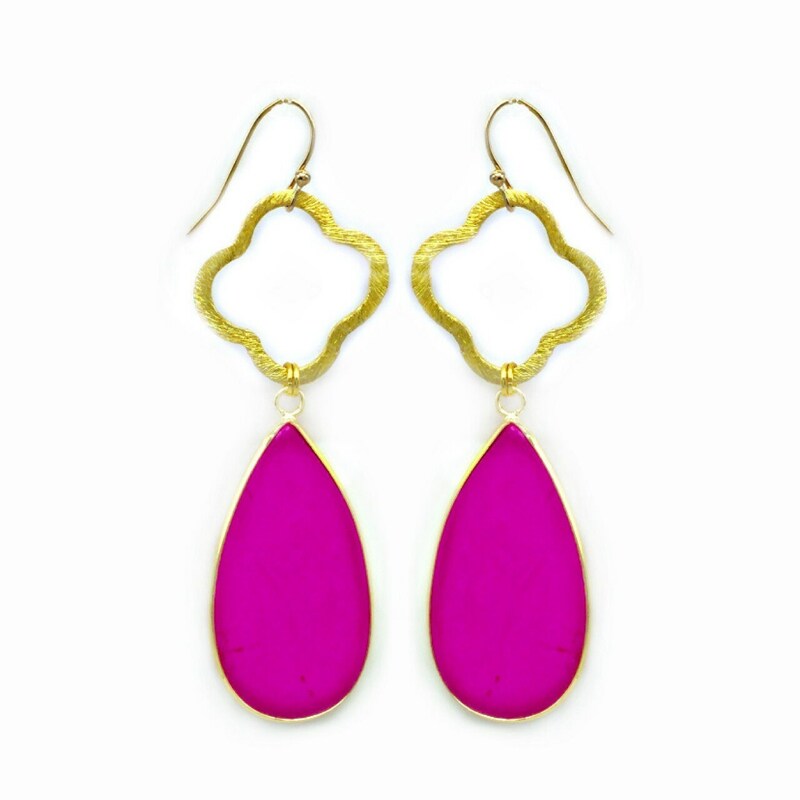 Hot pink teardrop howlite earrings. These earrings are 3 inches in length and 1 inch in width. Hot pink is just the right color to make a statement. These earrings can be worn in a casual or formal occasion.